Walter's friend Charlene is a veterinary tech at Epcot in Walt Disney World ("WDW") and works at the exhibit known as "the Land." During our trip this past weekend, she gave the thirteen of us (more on that later!) a marvelous tour behind the scenes. Charlene's expertise is treating marine mammals, particulary dolphin and manatee. We learned a great deal and I won't cover it here, but I did want to mention the Manatee Rehabilitation Partnership of which WDW is a partner. What particularly interested me was the tagging program. I'm looking forward to learning more about it. Animal experts at Walt Disney World Resort have extensive experience rehabilitating sea turtles. Since 1986, Disney animal care teams have nursed more than 250 endangered sea turtles back to health. Most recently, Disney animal experts cared for 15 green sea turtles injured from the cold weather snap that affected Florida earlier this year. As a licensed wildlife rehabilitation center, Disney’s Animal Programs supports the rescue and rehabilitation of more than 1,000 injured and orphaned wild animals each year. The team participates with the U.S. 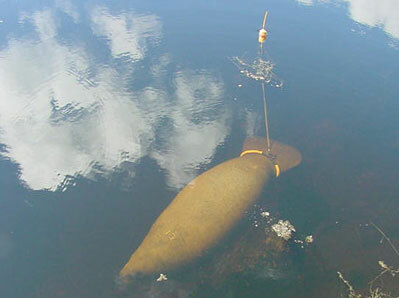 Fish and Wildlife Service and other zoological facilities and conservation groups in the Manatee Rehabilitation Partnership. The Seas with Nemo & Friends at Epcot is a designated rehabilitation site for rescued manatees and sea turtles until they are well enough to be returned to their habitats.